It's that time of year again, gang! Time to dust off the old fruit cake and polish your Christmas balls. But what do you take to all of those parties or gift exchanges? Especially if you actually like the people you're going to see? 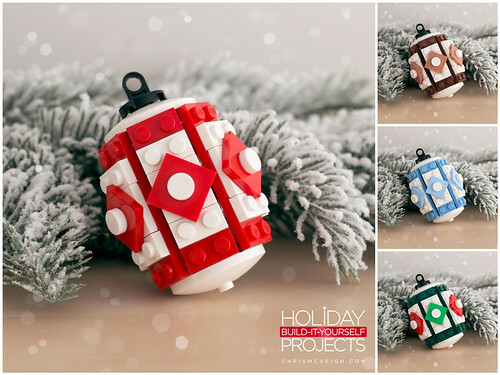 Well, our pal Chris McVeigh has an answer for that yearly dilemma-- Custom Christmas Ornaments! 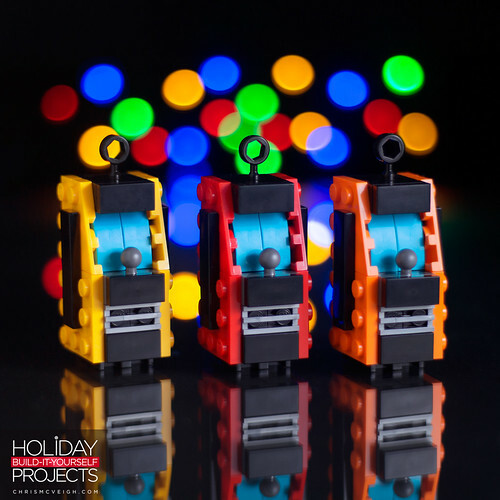 From mini arcades to snow flakes, Chris has been creating these DIY projects for several years. Another option is a Secret Santa gift exchange. We've been doing this for a few years in VLUG (Virtual LEGO Users Group) on MocPages. 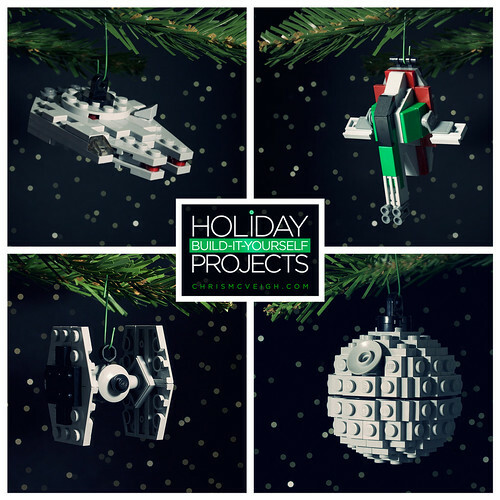 Larger in scale and more personalized than the ornaments, Secret Santa builds are a great excuse to get away from your usual style or interests. I never thought I'd build a Filipino Parol out of Explorien pieces, but it seemed like a good idea when I drew Master Shifu's name out of the virtual hat. And I know he didn't see that coming! It's also an opportunity to poke fun at your friends, like the gift I got from my buddy Hans Dendauw a couple of years ago. You see, I'm a dentist, and I like to build Battlestar Galactica stuff. Yeah, that's Hermey. I laugh every time I look at it. Thanks, Hans! Okay, I know, giving away LEGO is one of those things. It's difficult. It took me a while. But once you do it, and see the reaction that follows, it's a lot of fun. Plus it means you don't have to go out and fight the crowds shopping!